Back to the drawing board for this Folsom notion. 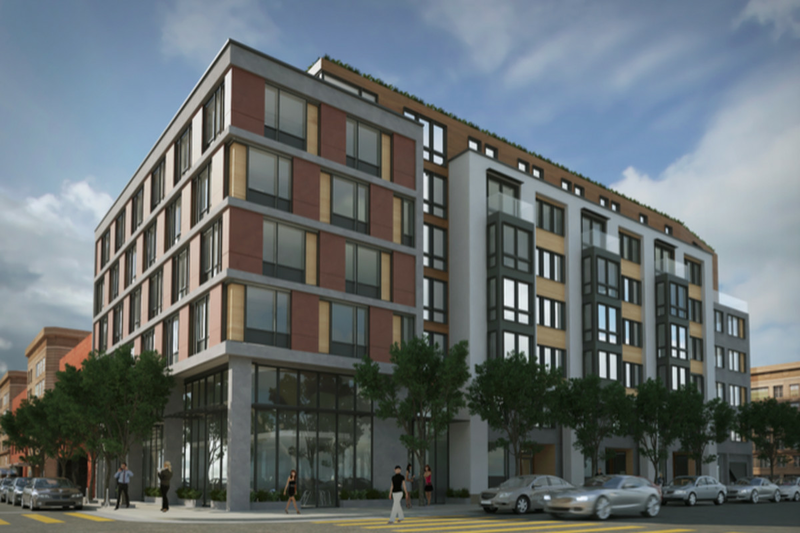 A developer who wants to build a 63-unit building in San Francisco’s SoMa neighborhood next to Victoria Manalo Draves Park was turned down again Tuesday, this time by the SF Board of Supervisors, which shut down the project over concerns that a shadow cast over the park might diminish quality of life. Developer Paul Iantorno has long lobbied to build the 63-unit, mostly market-rate condo building on multiple lots at 1052-1060 Folsom and 190-194 Russ in SoMa. The proposed project would demolish the existing buildings on the project site, merge the three lots into a single lot, and construct a new seven-story, approximately 59,000-gross-square-foot mixed-use building. [...] The proposed unit mix for the 63 dwelling units consists of three studio units, 23 one-bedroom units, and 37 two-bedroom units. Four units would be designated as replacement for the four existing rent-controlled units (in the 1052-1060 Folsom Street and 192 Russ Street buildings), 15 units would be designated as below market rate units, and the remaining 44 dwelling units would be market rate. Iantorno promised to house the four displaced tenants and move them back into the new building once completed. The Planning Commission initially rejected Iantorno’s plan in 2016, partly on the grounds that it violates Proposition K, the Sunlight Ordinance, by casting a shadow over Victoria Manalo Draves Park across the street. The park is one of the only public green spaces in SoMa. A neighborhood group deemed the South of Market Community Action Network (SOMCAN) appealed the decision and asked the board of supervisors to squash the development for the park’s sake. According to the city’s shadow study, the new building would cast darkness over more than 18 percent of the two-acre park at its height during the longest day of the year. On April 3, the city held a public meeting at Bessie Carmichael Elementary School on Seventh Street to discuss the proposal. On Tuesday, city lawmakers unanimously favored the appeal on a 10-0 vote. District 11 Supervisor Ahsha Safaí did not vote for fear of possible conflicts of interest from past work with a contractor on the project. With the appeal upheld, the project will return to the Planning Commission. Since the law went into effect, shadow studies and the scuttling a new projects for fear of overshadowing public parks have been facts of life in SF.